kyle10bike on ERW equipped Giant Trance X 29er. Vote for your tire size on our website! Carbon fiber for strength, Kevlar for vibration resistance. Strung tightly with 18mm speargun rubber and a steel spine. Historic speed is at hand. 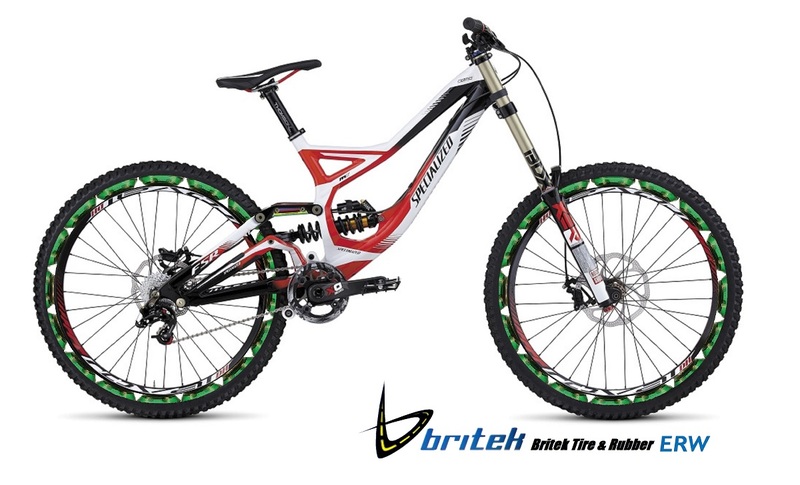 Britek MTB "Prescribed Tread Block"